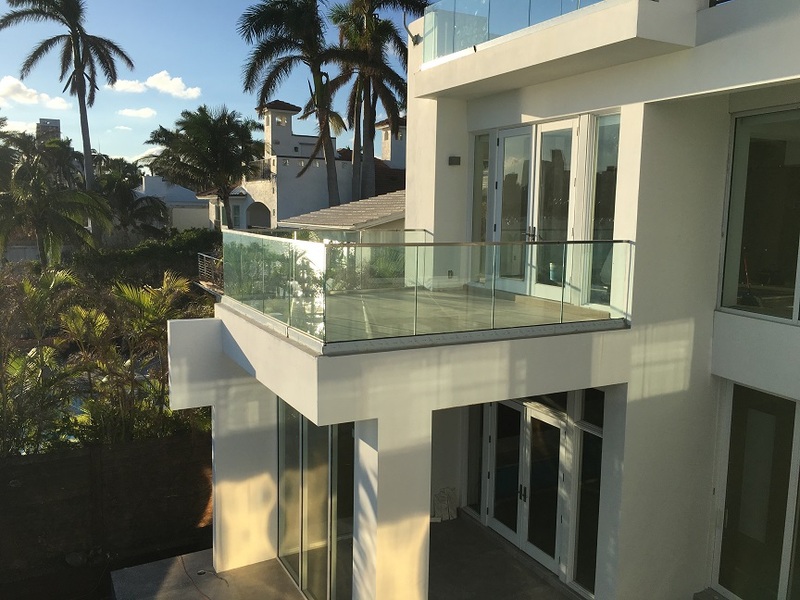 When designing railings for exterior balconies whether it be for residential or commercial spaces, the type of materials chosen should be designed to withstand the outdoor elements. If you are looking to install glass railings onto an exterior balcony, laminated glass is recommended. In the event where the glass is shattered, laminated glass holds in place by an inter-layer between two layers of glass. This type of glass allows the shattered glass panel to stay intact, which is especially ideal for commercial spaces. 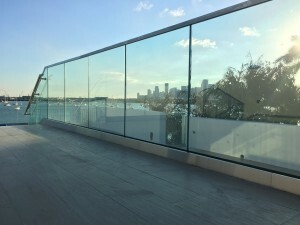 When installing laminated glass to your exterior railings, a stainless steel cap rail is usually top mounted to the glass panels for added rigidity. To anchor the laminated glass panels, we typically utilize a top mounted aluminum base shoe, which is then covered with a 316 grade brushed stainless steel cladding. Stainless steel in 316 Grade is preferred for outdoor use due to its greater resistance to corrosion than other grades of steel. Stainless steel elements can also be chosen in many different finishes; from polished, brushed, to custom painted to match the surrounding fixtures. No matter what type of design you are trying to create, it can be achieved by choosing the appropriate elements. A top-mounted aluminum base shoe anchors the laminated glass panels, which is then covered with a 316 grade brushed stainless steel cladding.